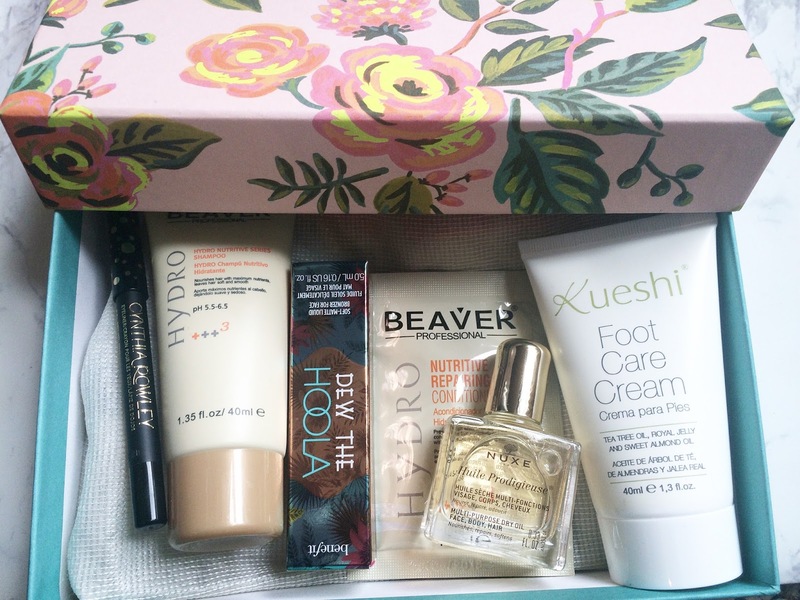 Everyone's boxes will vary slightly, but I am very happy with the products I got in mine! 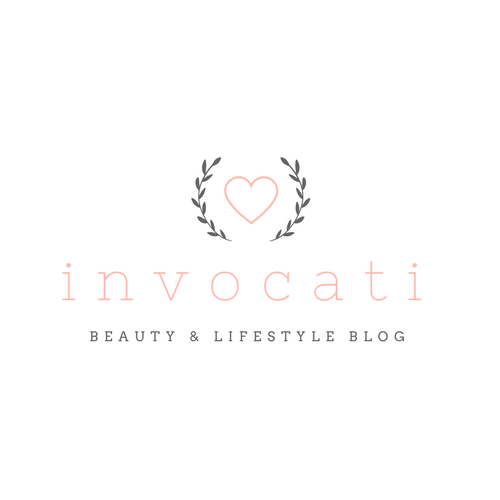 Aside from the Benefit sample, the rest of the brands were ones I'd never heard of before, which is actually what I love about subscription boxes. 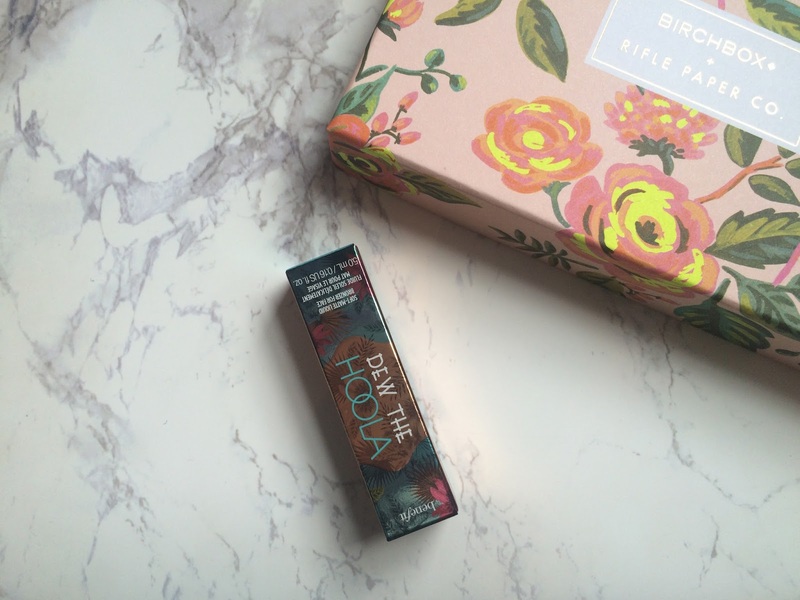 Might as well get straight in there with the first product - my sample of Benefit's Dew the Hoola! There were a few samples on offer that were given out randomly, including some of their different mascaras, and I think an eyelid primer. 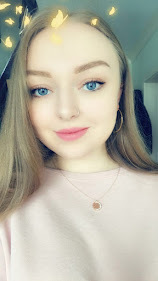 I was sooo happy that I got the liquid bronzer, because I know it's a fairly new release and was the one I'd been wanting to try out! I'm really liking it so far, it's very different to my usual contouring products but it gives me a really glowy look which I love! I'd never tried the regular Hoola bronzer before but I think I may just have to pick one up since this one is so nice. 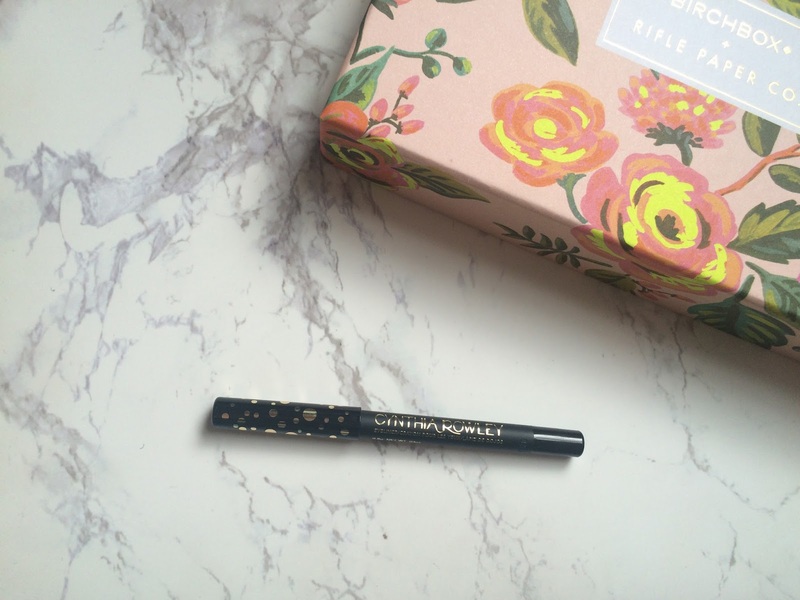 Another cosmetic product I received was a Cynthia Rowley eyeliner pencil. I don't usually use eyeliner, especially not pencils, because my eyes water the second I even think about putting it near my eye lol. I have used it to tightline a couple of times and I actually quite like it, as the pencil is very soft. The only downside is it doesn't really last all day, but I guess I can live with that. I also received an adorably tiny bottle of Nuxe multi-purpose dry oil. I'm having mixed feelings about this, because I am really sceptical about oils, especially putting them on my face. This can actually be used for your body, face and hair, so I might give it a whirl on the ends of my hair and see how it goes. It looks cute, though! 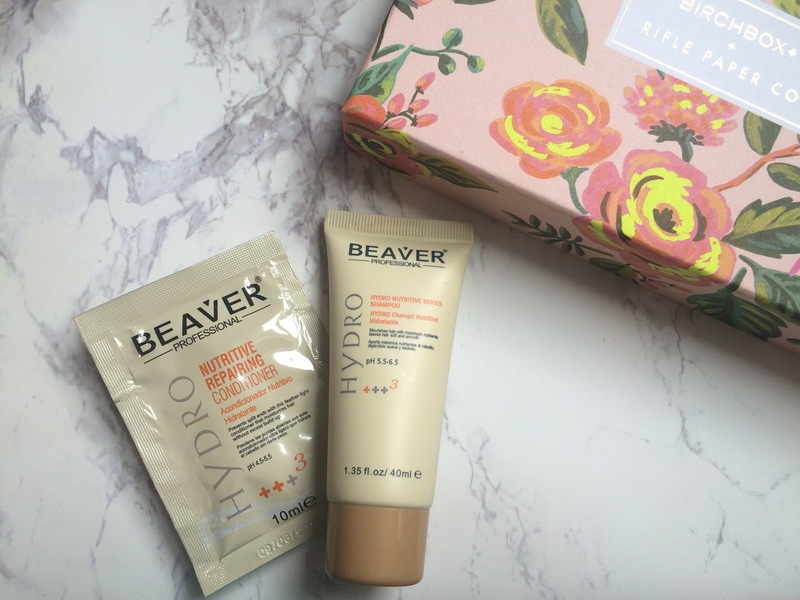 Going with the haircare theme, I got a couple of samples of Beaver hydro nutritive shampoo & conditioner. I can't complain about this because I am constantly switching up my shampoos and conditioners and I love trying new ones. I love the smell of these - it's not the generic shampoo smell, if you know what I mean? - and I can't wait to try them. Will definitely be reporting back on these! 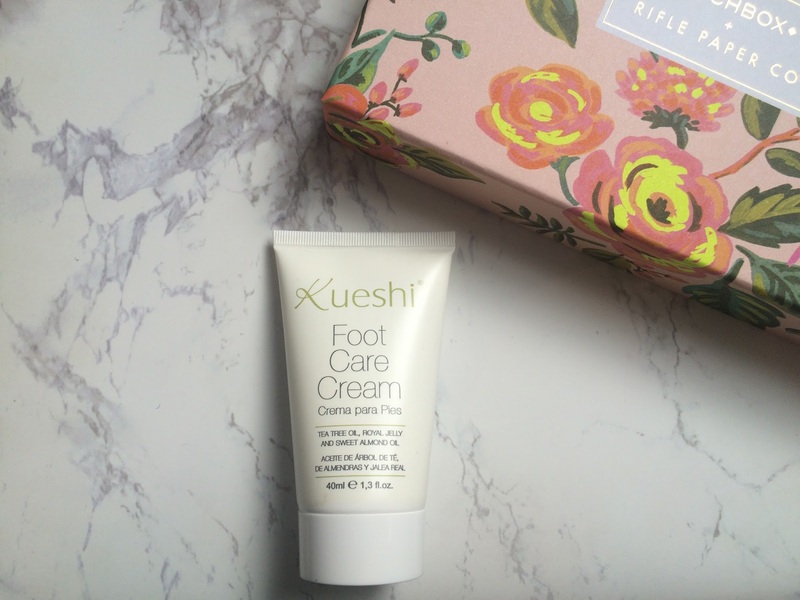 Something I wasn't expecting was a little tube of Kueshi foot cream. I don't know why I wasn't expecting it... I suppose foot-care is part of some people's beauty regimes! It has tea tree oil in it, so the smell reminds me of being little, which is kind of nice. I don't really use foot cream, but I suppose if one good thing is gonna come from this, it's that my boyfriend is gonna have to rub my feet so I can test it out... Ah well, the things you do for blogging. Overall I'm pretty happy with my first box (I mean you can't grumble at a Benefit sample, can you?!) and I'm very excited for the next one. !!!!! 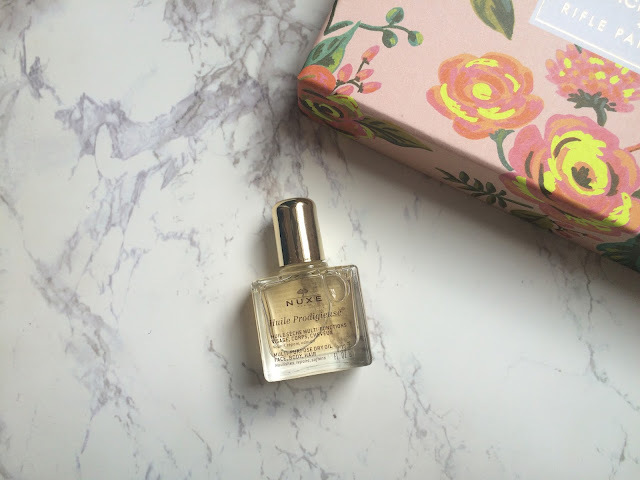 I almost forgot to mention... How beautiful is the packaging though?! 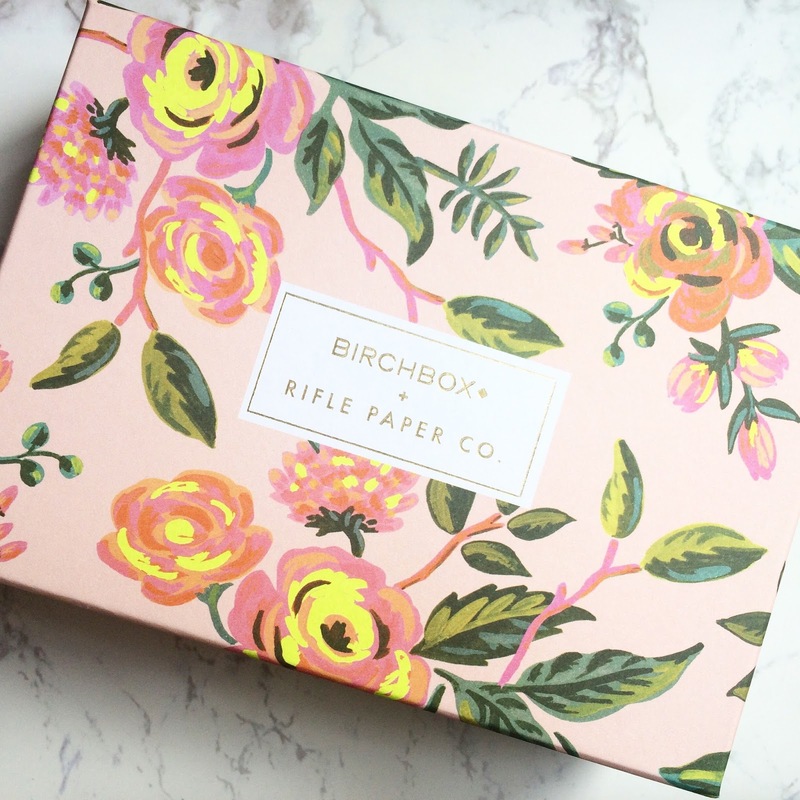 The collaboration with Rifle Paper Co definitely paid off because this is so magnificent and I need to find something to keep in this box so I have an excuse to hoard it. Tell me what you got in your boxes!